Our skin care services are backed by over 20 years of results-driven skin care experience to help you look as young and beautiful as you feel inside. To achieve this, we use an impressive arsenal of top of the line skin care products and the latest technology to deliver visible results from the very first treatment! With you as our primary focus, we will develop a customized treatment and skin care regimen will give you visible results at an affordable level and within your comfort preferences. We have found that a "boot camp" series of 4-6 treatments delivered within 3 months will have you looking and feeling your best in no time! After that, it's all about maintenance. It's never too late to improve your skin, so book your appointment today and start looking and feeling better! For those whose time or budget is limited, or as part of a weekly series of corrective facials, we are pleased to offer shorter treatments that provide visible improvements in a reduced amount of time. With just thirty minutes to spare and great skin to gain, a quick stop at our spa can refresh your complexion and melt your stress away. 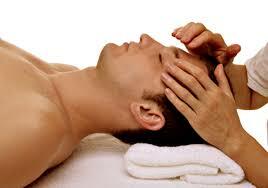 This facial was a created as the ultimate mini treatment for those with busy schedules and beauty concerns. you'll be amazed at how relaxed and glowing you can be in just over 30 minutes. For visible improvements to dull skin, acne scars, fine lines, wrinkles and discoloration spots, his facial is part of a series of 4 - 6 weekly peel facials. It includes an exfoliating treatment, an AHA/BHA Glycolic Peel, abrefreshing masque & base cream with sunscreen. It is common to only react when problems arise — but rather than treat problematic skin why not prevent problems to begin with? The key to a clear, beautiful and radiant complexion is prevention and maintenance; this is the premise of our deep pore cleasing facial. Indulge your senses in 60-70 minutes of Yon-Ka’s highly customized holistic, signature facial experience, relaxing, deep cleansing and restoring the skins natural functions. This facial addresses the concerns of men's skin and is customized to either deeply cleanse, balance, or hydrate the skin while removing pore-clogging debris. The expert purifying and balancing treatment for skin suffering from acne, whatever your age. This treatment helps to regulate sebum secretions, purify and clarify the complexion, and reduce the occurrence of future breakouts. Your facial includes a purifying masque and LED blue light treatment. No matter what your skin issue is, we have a solution. These facials are best done in a series of weekly treatments for a month to re-balance and repair problem skins. For best results, recommended home care regimen must be adhered to. For red, reactive or irritated skin due to rosacea, sensitivity or sunburn, this expert treatment will soothe and calm your skin. The combination of professional treatment, together with precisely dosed plant extracts allows the needs of irritable skins to be met, whether they are dry or oily. The result: soothed, softened protected skin, a lighter and more even complexion, and a pleasing fresh feeling of well-being. An alternative to peels, this resurfacing treatment brings out the skin's natural glow, restoring smoothness and youth in as little as one treatment! It is effective for reducing acne scarring, discoloration spots, fine lines, wrinkles and uneven skin tone. A series of 2-4 monthly treatments is recommended for optimal results. If you are experiencing unevent skin coloration, dark spots or melasma, this treatment evens out the skin's color by gradually lightening spots. Your complexion will be visibly more even after the first treatment, but 4-6 weekly treatments, and use of home care products are recommended for optimal results. As early as your mid-thirties, you might start to see the signs of aging such as wrinkles, expression lines, discoloration spots and loss of elasticity. Our age-defying facials will halt time in its tracks using a glycolic peel to revive the most neglected complexions. In addition to using the most effective rejuvenating products and techniques, these facials include the latest anti-age technology, such as LED Photorejuvenation, Micro-Current Lift, Iontophoresis. Ultrasonic Treatment, and special massage techniques. 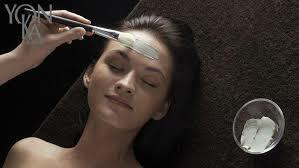 For those with deep wrinkles and expression lines, this facial includes an AHA/BHA peel to reduce deep wrinkles, a regenerating masque with plant stem cells, lipoaminoacids, and hyaluronic acid to hydrate and plump the skin, and micro-current therapy to "release" deep wrinkles and expression lines. The result, diminished expression lines and a smoother, more youthful complexion. *For best results, we recommend a monthly course of 4 treatments. Home care products available 10% off with paid series. For those who are starting to notice a loss of elasticity, sagging and jowls, this treatment stimulates the vital functions of the skin and visibly redefines your facial features with skin-firming peptides, repairs with marine collagen while soy peptides protect and fortify the skin. Our special massage techniques will tone your facial muscles and firm the skin. The result: smoother, lifted facial contours and a radiant complexion. 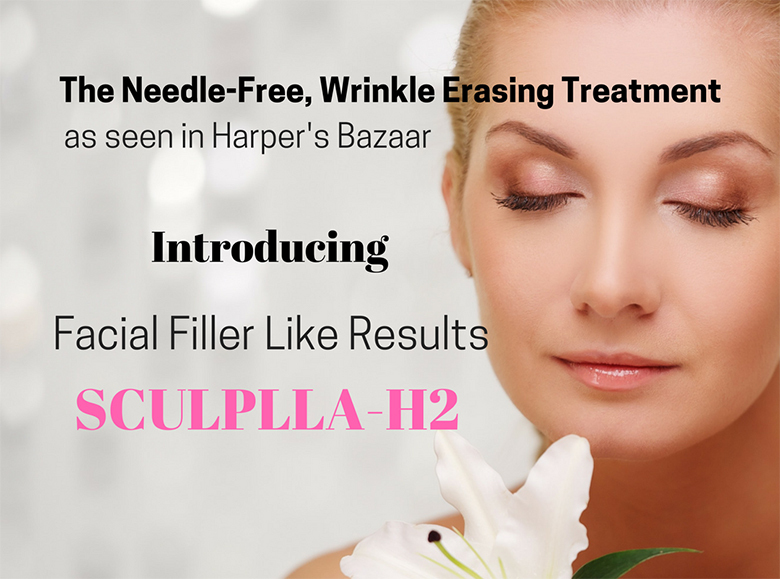 An alternative to fillers for those who wish plumpling, firming and wrinkle reduction, this facial includes a peel or microneedlingtreatment, application of the Sculplla serum (which contains the same ingredient found in the Sculptra injectable filler) with additional nourishing and rejuvenating ingredients, and an activating sheet mask containing encapsulated hydrogen to push the ingredients into the skin, resulting in plumper, firmer and smoother skin. The results are cumulative with results from one treatment lasting up to 6 weeks and a series of 3-4 weekly treatments lasting up to 5 months. **Please note: skin must be kept dry for 12 hours after treatment to ensure optimal results . Micro-Needling (also known as Collagen Induction Therapy) is a new treatment used to reduce the appearance of fine lines, acne scars and improve the skin's overall appearance. In this procedure, a device with tiny needles is used to create controlled micro-channels into the epidermis to stimulate production of collagen and elastin. 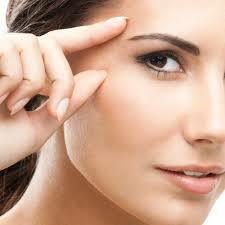 The skin's repair process results in a thicker epidermis with softer wrinkles and more even skin tone. The procedure also allows topical gels, creams and serums to be more effectively absorbed by the skin, thereby enhancing their therapeutic effect. 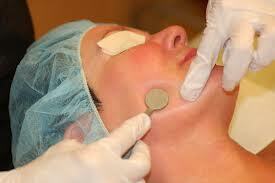 The procedure itself takes 15 to 30 minutes and is very comfortable when using a numbing product (add 30 minutes). After the treatment, a soothing masque is applied with microcurrent or ultrasonic therapy. The result: a healthy "glow" right after the procedure, and visible changes developing over the following days and weeks, up to 6 months. These treatments can be added to your facial service, or received on their own. Do your neck and chest look decades older than your face due to neglect & sun exposure? This treatment will help rejuvenate the delicate neck and chest skin by reducing discoloration spots and redness, deeply hydrating the skin and restoring elasticity. Your aesthetician will use a peel or microdermabrasion or other resurfacing treatment tailored to your skin, followed by a deep hydrating and repairing collagen mask. The delicate eye contour can often exhibit puffiness due to lack of sleep or allergies, crepey skin due to dehydration or droopy lids due to lack of firmness. This targeted treatment will address your eye contour concerns with lifting & draining massage techniques and special masque to give your eyes a fresher, more youthful look. These non-invasive treatments can enhance your facial and produce rapid improvements without downtime. 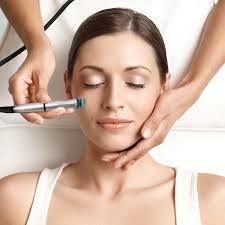 They can be added to your facial at a reduced price, or used standalone as a complete service. 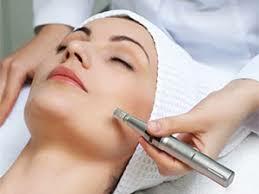 Note: some of these treatments are included in our anti-age facials at no extra charge. This tried and true device-driven method for tightening and firming the skin employs a low level of electricity that mirrors the body's own electrical currents to boost circulation, encourage collagen production and rejuvenate facial muscles, effectively tightening tissue and lifting and contouring "trouble spots" on the face, such as sagging jawlines, cheekbone areas and eyelids. A series of treatments helps to re-educate the muscles of the face, while the opposite polarity helps release wrinkles. 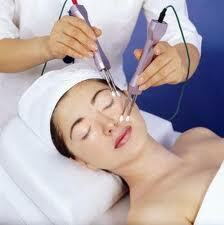 This treatment will show immediate improvement that can be enhanced by a series of 4-7 treatments. 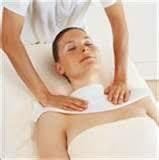 It is an inexpensive and painless alternative to aggressive medi-spa treatments such as Ultherapy and Thermage. A holistic alternative to chemical peels and microdermabrasion, this treatment uses a stainless steel disk encrusted with diamond grit to gently polish away discoloration spots, acne scars, fine lines and leaves the skin brighter while stimulating collagen and elastin production. 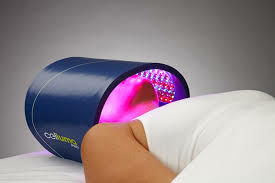 Our Celluma light therapy is based on the application of light energy to the body for esthetic benefits. Developed by NASA's space program for wound healing and tissue growth, it has been shown to enhance cellular metabolism, accelerate the repair and replenishment of damaged skin cells, and stimulate the production of collagen It helps improve skin firmness and resiliency, increase lymphatic activity, and reduce the appearance of fine lines and wrinkles. The blue light LEDs have been shown to promote healing in acne by reducing inflammation and killing acne bacteria. Treatments are most effective when used as a series, optimal results are achieved by treating 3 times a week for 4 weeks. A treatment for the removal of minor skin irregularities, such as skin tags, milia, sebaceous hyperplasia, benign moles, discoloration spots and broken capillaries. This treatment quickly eliminates those minor imperfections with little to no down time.